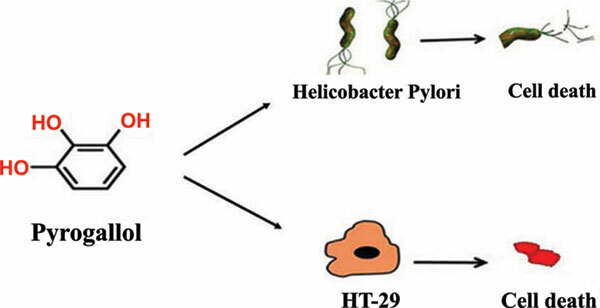 Keywords: Acacia nilotica, pyrogallol, Helicobacter pylori, colon cancer, apoptosis, HT-29. Keywords:Acacia nilotica, pyrogallol, Helicobacter pylori, colon cancer, apoptosis, HT-29. Abstract:Background: Colon cancer is the most aggressive form of cancers, that causes 0.5 million deaths per year around the globe. Targeting colon cancer by conventional therapeutic options elicits toxicity. Traditional medicines take a lead to alleviate the existing clinical challenges.